Off to Barcelona for a few days? 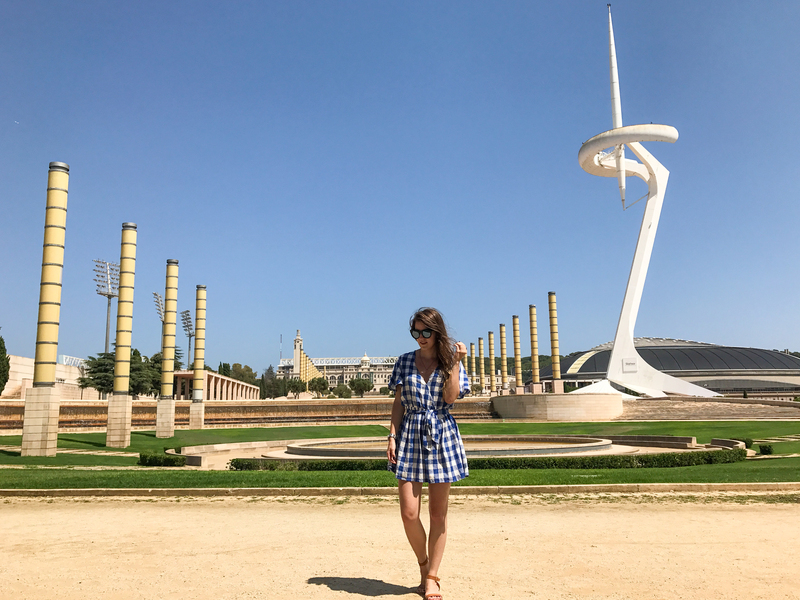 Here’s my round up of where we stayed, what we saw and what we ate. 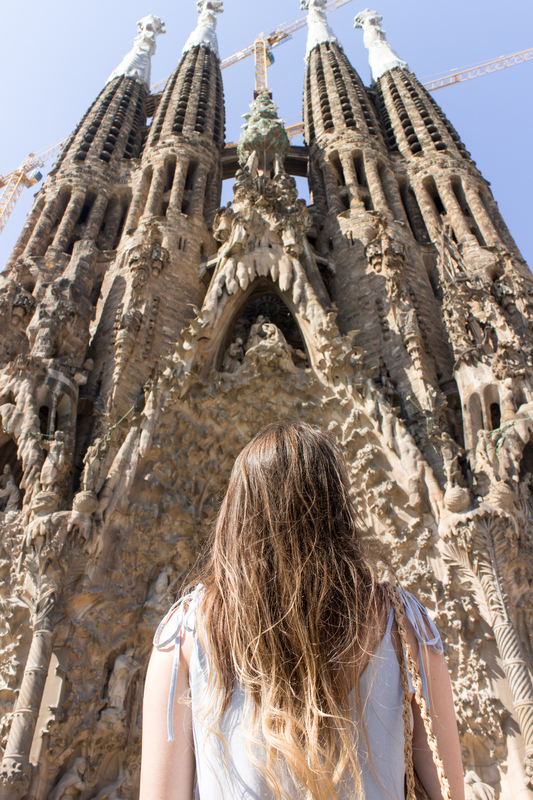 AKA my absolute must-dos for a long weekend in this stunning Spanish city. Although it may not look like much from the outside (sadly I forgot to get any snaps from inside), our hotel was perfect for what we wanted. 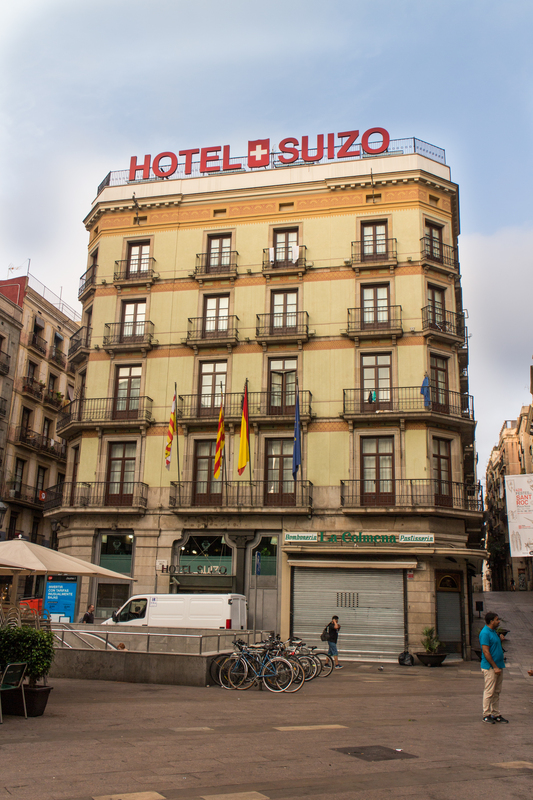 It’s located right in the heart of the Gothic Quarter, less than a 5 minute walk from the Barcelona Cathedral and literally just around the corner from that well known gothic bridge between the buildings. The room was quite small but perfectly clean, comfortable and relatively modern. We even had a little balcony which was lovely to pop out onto in the early morning to see the quiet of the streets, and then have another little nosy in the early evenings when the street was thick with people to-ing and fro-ing. And the best part? That shuttered shop to the right of the hotel entrance opens every morning and is filled with the most delicious pastries, cakes, breads and sweets! 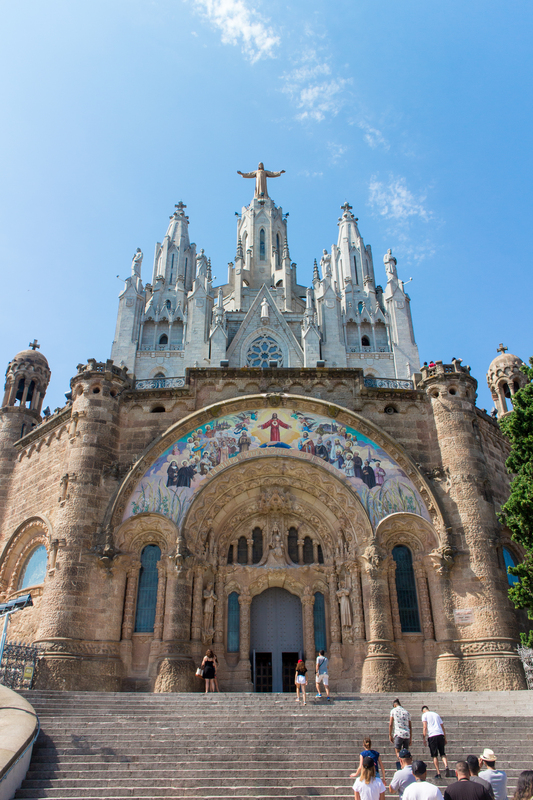 After visiting Barcelona once before, I had seen the outside of this famous church but never the beauty of the inside. This time I knew it had to be done so I booked tickets well in advance to make sure we didn’t miss out. 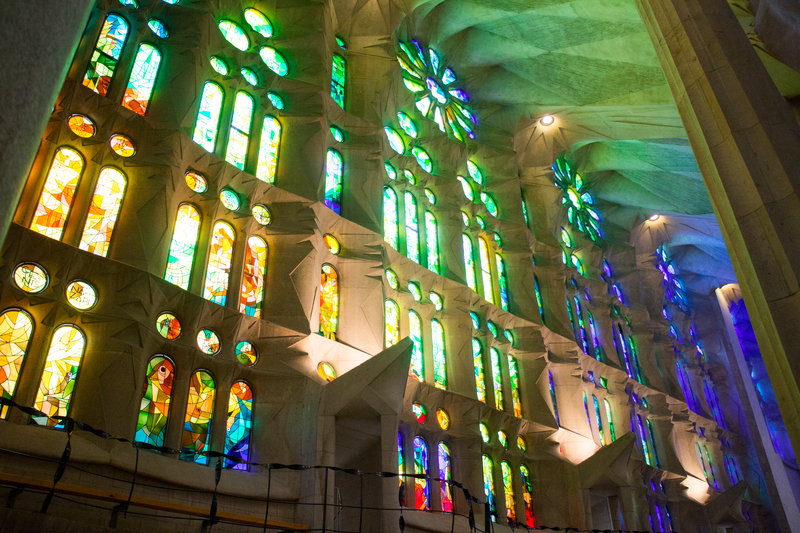 I’m so glad I was finally able to see this beautiful architecture up close, the stained glass windows are like nothing else I’ve ever witnessed. 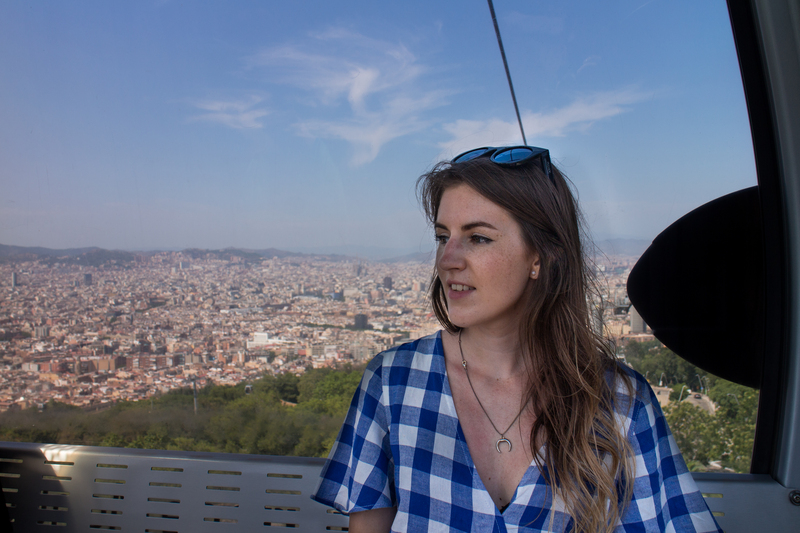 Whilst we didn’t travel up the towers to see the view from the top (which we heard were booked up until two weeks after our trip) I would definitely recommend booking in advance so that you don’t miss out, and you don’t have to endure huge queues! As I mentioned before, our hotel was slap bang in the middle of this area so we were perfectly situated to explore it every time we stepped outside. 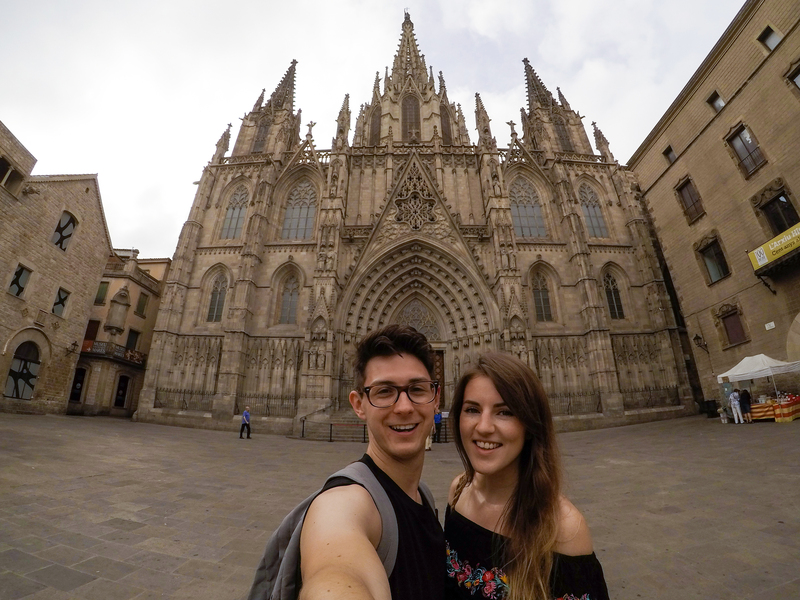 Whilst exploring each day, we made sure to check out the cathedral, the bridge I mentioned before and all the little winding streets where you find the most incredible architecture. The best thing to do here is just go on a wander because you never know what little gem you might find! 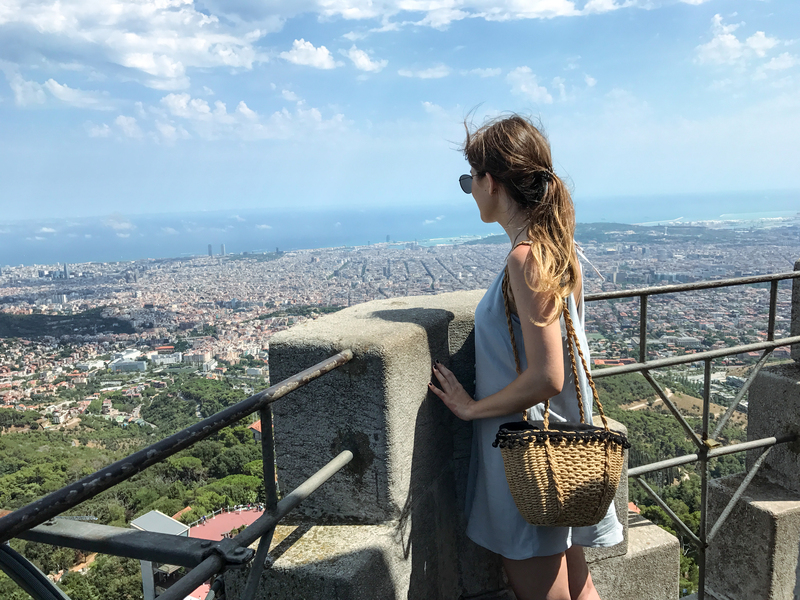 I hadn’t actually heard of Mount Tibidabo until I started researching things to do in Barcelona on Pinterest one day. Once I discovered this spot it went straight to the top of my must-see list. 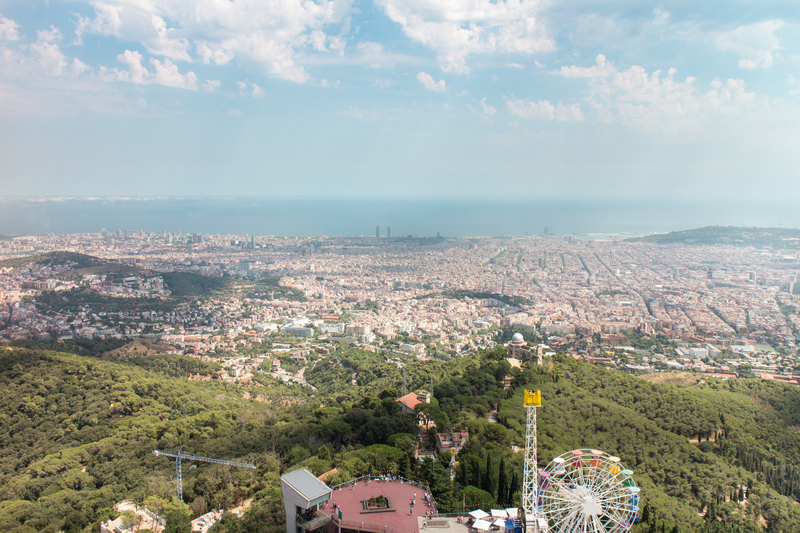 For the most insane views of the city, this is where you need to go! You do need to get a cable car and then a funicular to get to the top but once you’re there the journey is well worth it. You can either experience the views by taking a spin on one of the fairground rides, or by heading up to the highest gallery lookout of the church. We took the church option. I think the photos of the view speak for themselves. An absolute must-see, do not pass go, have to hit spot in Barcelona. 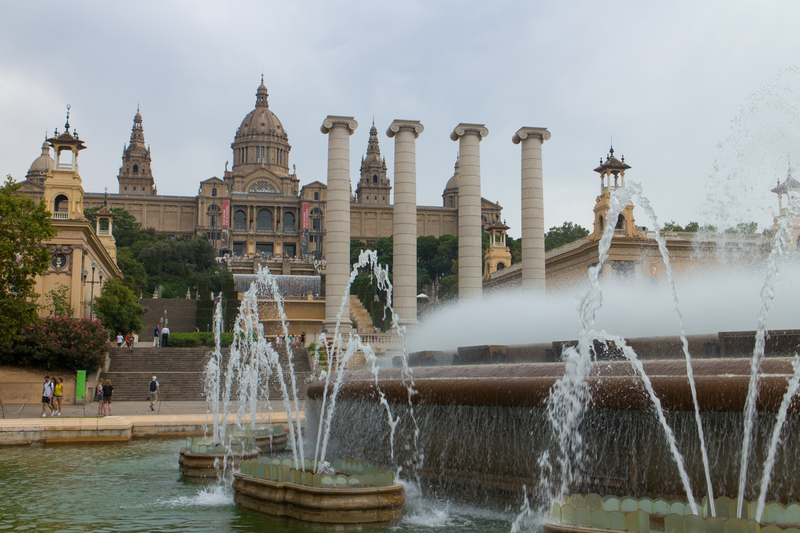 Encompassing the mountain area above Plaça d’Espanya and the marina, this is another of my favourite places in the city. It feels like you escape the hubbub and get to view it all serenely from above, not too far, but just far enough to get some perspective. 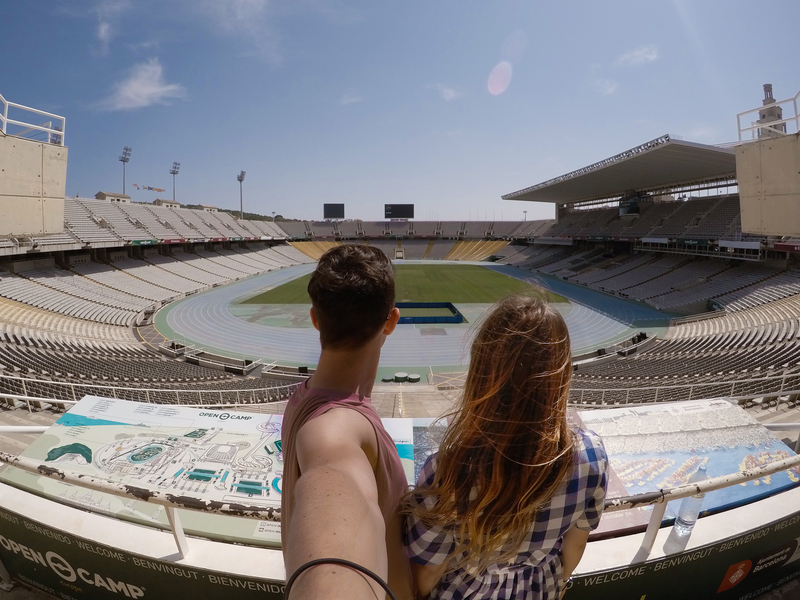 The best parts are the old Olympic grounds which you can freely wander through with no charges, the Olympic pool with the most insane views (this you do have to pay to swim in), and the cable car which takes you to the very top to overlook the marina and all the cruise ships coming and going. 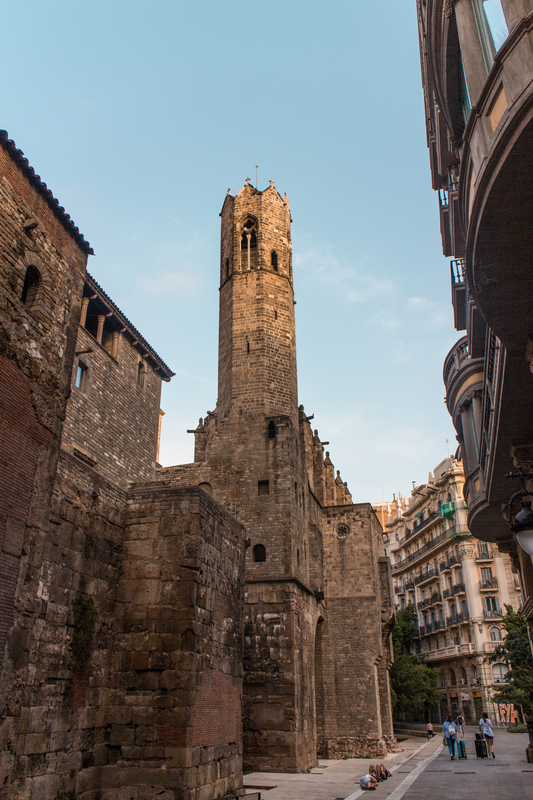 With its towering columns and huge stairways to make you feel teeny tiny, this massive square and its surrounding roads is a lovely place to spend an afternoon just wandering around drinking in the atmosphere. There is also of course the famous dancing fountains evening show which can be fun, and we did watch, but I wouldn’t say you absolutely have to do it as the hour long show can seem to drag on a little. 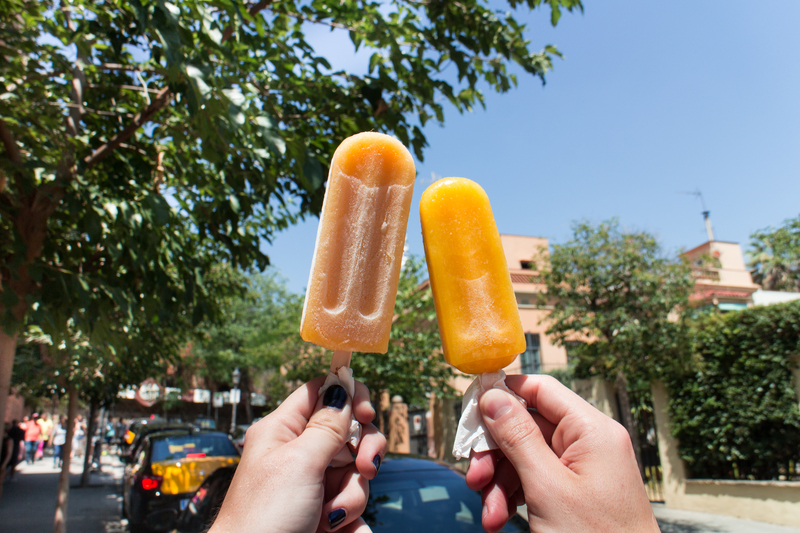 On a hot day in Barcelona there’s nothing quite like cooling down with a fresh fruit ice lolly. You see these dotted all over the city but we picked up a couple a few steps down the road from Parc Guell. Mango for me and passionfruit for Luke, perfect for the hot journey back downhill to the bus stop! Every day in Barcelona we started off with a croissant, they seemed to sell them everywhere and they were so tasty! Especially the sugar topped variety. 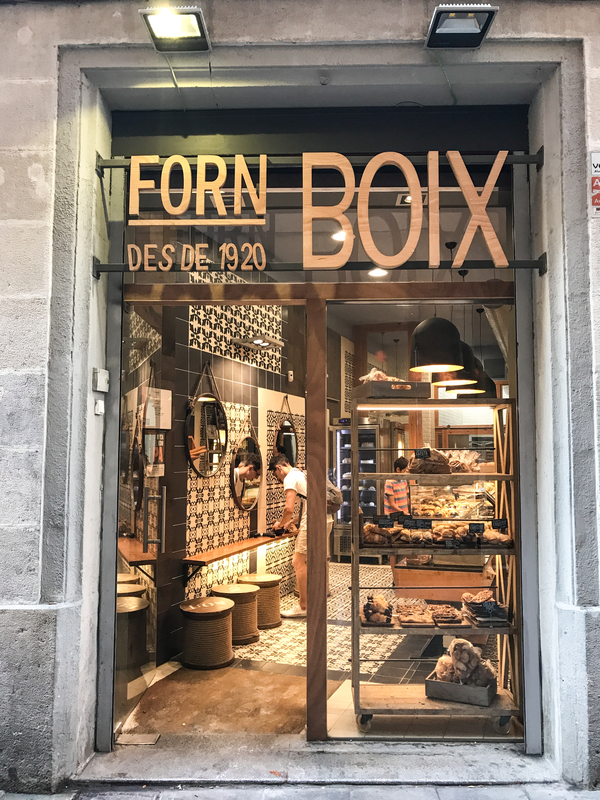 I looked up online where was the best place for a pastry of dreams and I saw Forn Boix mentioned on a couple of websites. This particular shop was just off Las Ramblas in a side street, and whilst not the best croissant I’ve ever eaten, it definitely hit the spot. After spotting one of these beauties on Em‘s Instagram I knew I had to find the shop and get one for myself. 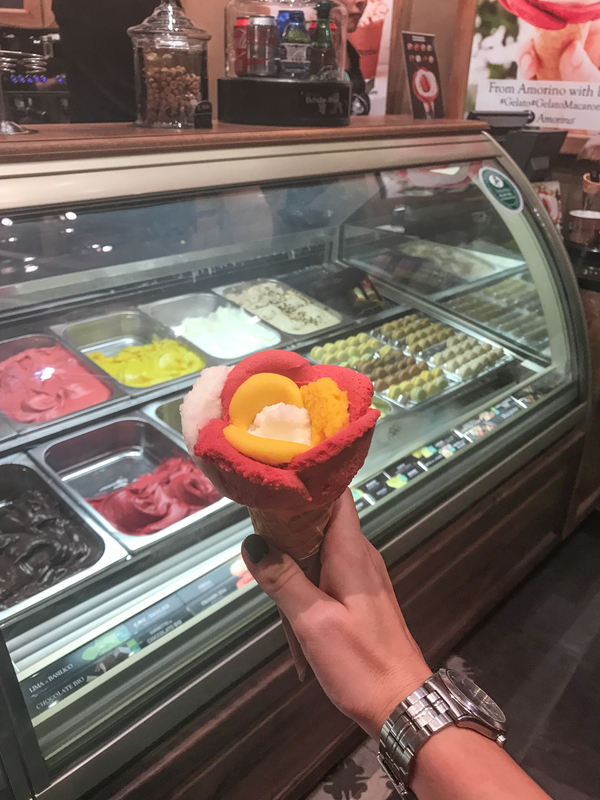 Again, just off Las Ramblas in a side street, this little ice cream parlour whipped us up a couple of these beautiful little indulgences and I can honestly say it was so delicious! I opted for Mango, Raspberry and Lemon sorbet while Luke chose Chocolate, Vanilla and Chocolate Chip. Dreamy dot com. It’s called Amorino if you want to indulge for yourself. 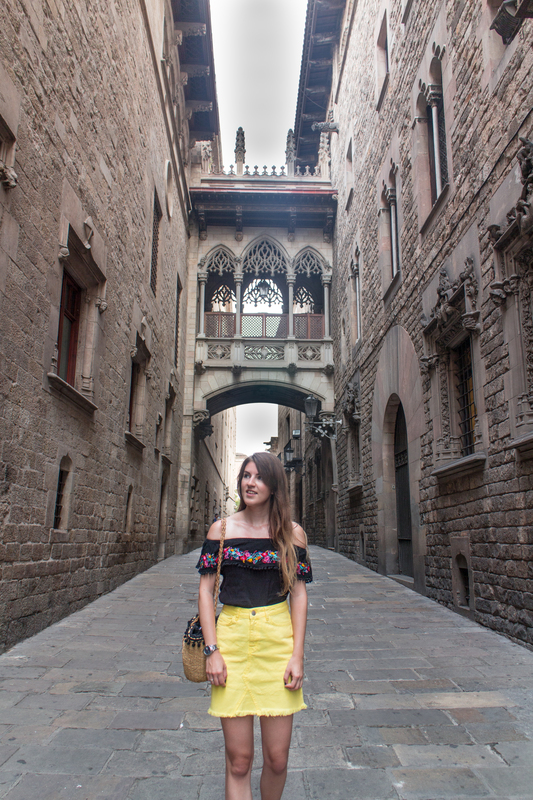 On the second night of our trip I looked up where would be the best for traditional tapas in the city and Ciudad Condal was rated super high so we thought we would try our luck there. I read it can be hard to get a seat and you may have to wait a while but the wait would be well worth it. We went around 7pm and there was no queue whatsoever meaning we were seated straight away. With it being Luke’s first experience of tapas I had high hopes but sadly they fell flat. The high table with stool seats was uncomfortable and just poked in an awkward corner, the service was quite abrupt and the food was average. I don’t know why everyone seemed to rave about it online! The following night we decided to head to the marina area and hoped to find a better tapas alternative there. We opted for Tapa Tapa at the Mare Magnum shopping centre and it was honestly so good! 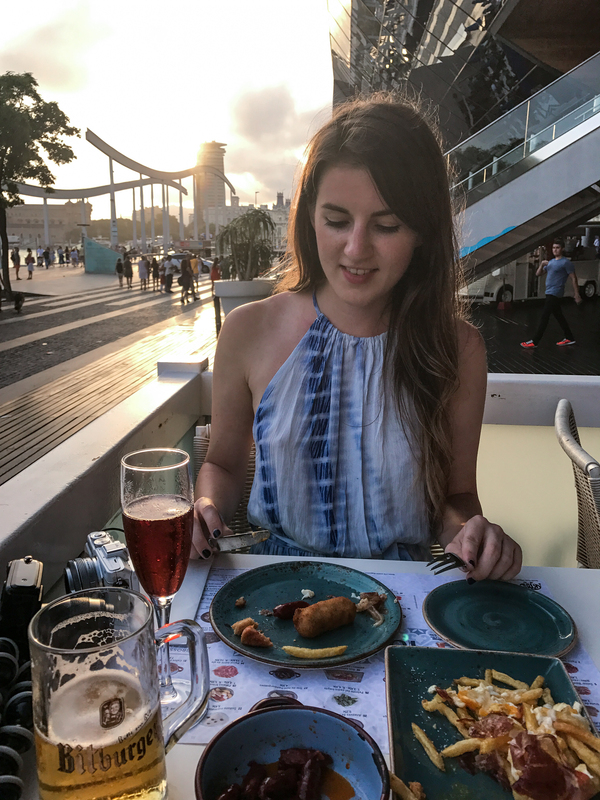 The food was delicious, the menu was varied, the staff were friendly and the view onto the water was the perfect setting. Next time I’m in the city I will definitely be going back! 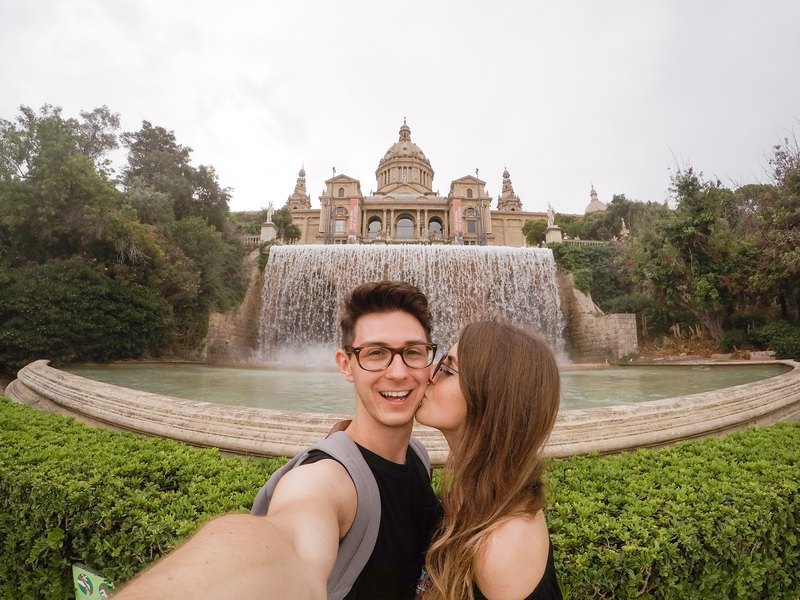 Are there any spots in Barcelona you would recommend as a must-see?